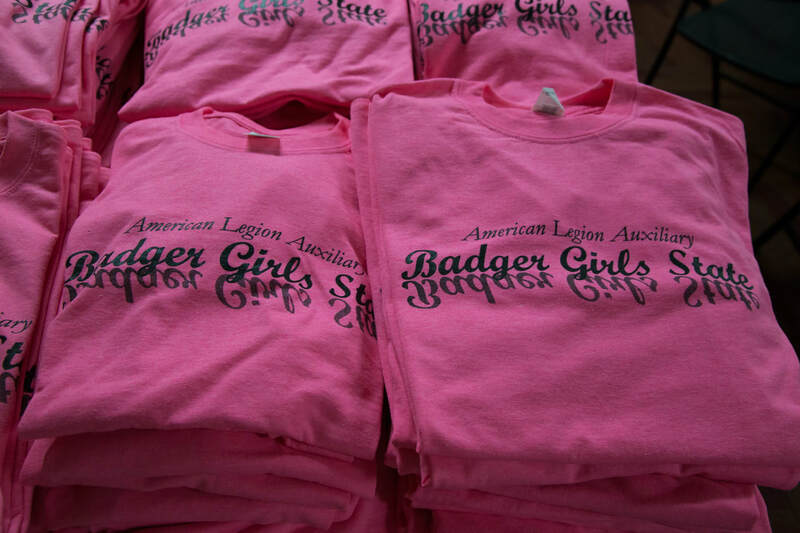 WHAT IS AMERICAN LEGION AUXILIARY BADGER GIRLS STATE? This program is promoted as a government and leadership conference where the entire delegation becomes citizens of a mythical fifty-first state and will function according to the laws of the State of Wisconsin. Each day will focus on the various aspects of state government and the American Legion Auxiliary's mission of "God & Country" which includes occasional non-denominational prayers. 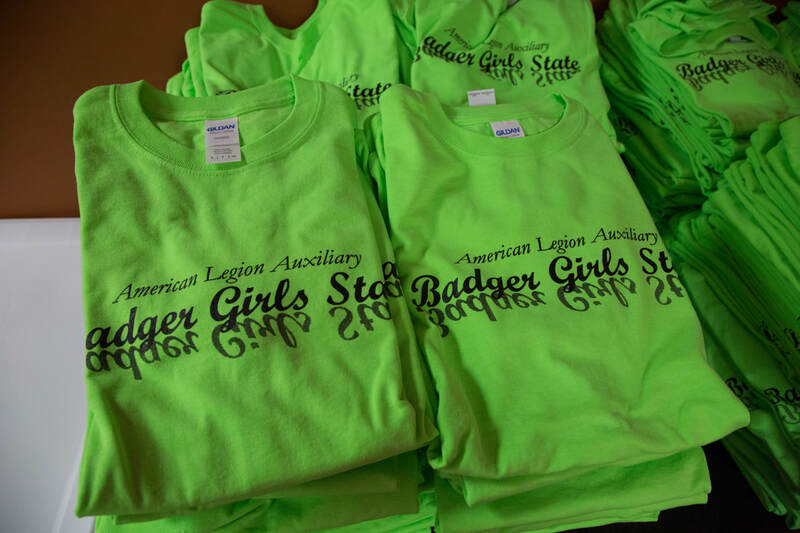 American Legion Auxiliary Badger Girls State is a practical civics conference that allows students to learn about state government by actively participating in it. Delegates reside in cities and elect officials and create laws within the city. Two cities form a county, and a similar process of electing officials and adopting laws occurs. Delegates also have an active role in writing and debating party platforms for which the constitutional officers stand, attending bill hearings, and other patriotic experiences including a flag disposal ceremony and presentation of blue star banners to military families. Every girl is encouraged to participate in some level of the governmental process. ALABGS should not be confused with recreational or sport programs. To prepare girls of high school age in Wisconsin for citizenship in a modern world where government touches their lives in many different ways. To instill a love of country and a desire to preserve the fundamental features of our form of government as founded by our ancestors. The Girls State program was organized as a national Americanism activity by the 1937 National Convention. The first Girls Nation session was held in Washington D.C. in 1947. The program is a practical application of Americanism and good citizenship. The entire program is a non-partisan, non-political attempt to teach and instill in the youth of America a love of God and country. The American Legion Auxiliary is working to keep patriotism a part of the education of every child, a patriotism that teaches love of America through knowledge of how our state governments operate. The legacy from those Auxiliary members who chartered the first Girls State remains. The lessons learned at American Legion Auxiliary Badger Girls State enable these young ladies to become more informed citizens in how their state government functions.